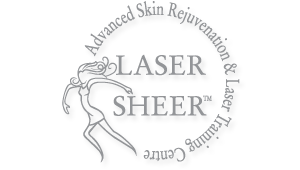 Laser Sheer offers general courses to individuals embarking on a career change, aestheticians, cosmetologists and others in the beauty industry. We also offer accredited continuing medical education courses to physicians, physician assistants, nurses, and other medical professionals. Laser Sheer Academy we offer training programs to teach proper techniques for cosmetic dermatology and skin care treatments in Edmonton. Participants are trained in procedures such as BOTOX® and injectable fillers. This course focuses on training students about Botox and Dermal Fillers, learn how Botox can affect a patients outcome. Learn about injection techniques, side effects and proper business practices. Trained laser technicians come from Edmonton Mall's Laser Sheer, the home to the laser skin training facility. With everything from advanced training in Thermage & Skin tightening, Vascular, Tattoo Removal, Ultrashape (fat reduction) and Toe Fungal to much more.